Model 3234 HHD-3ST : Pipe Swaging Machine : American Machine and Hydraulics, Inc. 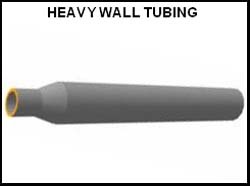 This model is designed for swaging or pointing heavy wall pipe. The diameter of reduction is controlled in stages. 3 or 4 stages are available depending on the model. 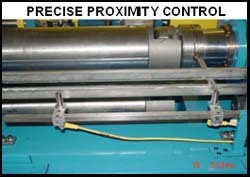 The length of reductions is controlled by electronic proximity switches which determine the stroke of the forming cylinder. This unit will operate in the manual or automatic mode. A PLC drives all electronic functions of the unit. All controls are mounted on an easy access control panel. A tube stop is attached in order to repeat the exact length of reduction. 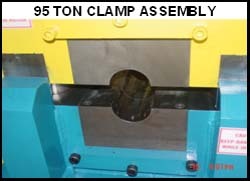 Safety cover shield on clamp and forming head assembly. All stations use reducing inserts for each stage of forming. Inserts changeover time is no more then 5 minutes for all 3 stations.